Creation Date Friday, 31 October 2014. 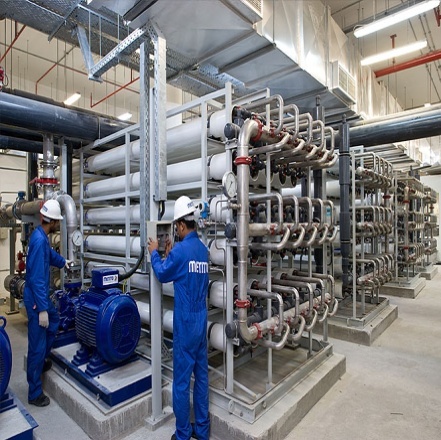 ConocoPhilips (COP), world-renowned innovator of advanced solutions for the oil and gas industry, has announced partnership with CH2M HILL, which leads a collaborative water treatment study entitled “The Cost-Effective Reverse Osmosis Concentrate Treatment and Brine Management Study”. The massive production of oil and gas entails a large volume of produced water. Hence, COP and its industry partners under the Petroleum Environment Research Forum (PERF) initiated this study to identify cost-effective technologies for managing water treatment issues within the industry. As a market leader in the development of sustainable solutions that thrive beyond environmental and socioeconomic risks, CH2M HILL is optimistic to probe the challenges in the implementation of new technologies under the construction, operations and maintenance constraints of the oil and gas field. “We are excited to leverage our experience in water treatment innovation to help ConocoPhillips and its Partners identify cost-effective strategies for treating produced water,” said Jim Lozier, CH2M HILL Vice President and Global Technology Leader for Desalination and Study Manager. CH2M HILL co-convened with a team of highly acclaimed industry researchers to provide a comprehensive understanding on environmental considerations necessary in the development of new technologies for reverse osmosis (RO) and brine management strategy in both public and industrial sectors. Furthermore, the findings of this study will provide COP and its partners a list of recommendations for improving water discharge management in the oil and gas industry. The disposal of produced water in the oil and gas industry requires high recovery water purification systems like reverse osmosis for treatment of produced water. Aqua Solutions recognizes the significance of water treatment solutions and provides premium quality reverse osmosis pre-treatment technology suited for laboratory applications. Learn more about our comprehensive range of RO pre-filtration products and accessories at www.aquaa.com/reverse-osmosis-ro-laboratory-water-purification-systems.